This issue of the “Chronicle of Forced Labor in Uzbekistan“ presents an overview of the Uzbek media over the past three months. Since President Mirziyoyev has taken office, a weakening of censorship has been observed, allowing local journalists to cover stories of forced labor more widely. The last three months have been significant with the leadership of Uzbekistan moving away from complete denial of the existence of forced labor, to acknowledgement of the problem and promises to end this vicious practice. The peak period for mass mobilized forced labor is during the cotton harvest. The forthcoming cotton season will show whether the government of Uzbekistan is ready, willing and able to implement the changes they have promised to eradicate the practice. The Government of Uzbekistan is demonstrating strong political will to solve the problem of forced labor; however, regional authorities are not keeping up with the processing and execution of an enormous number of orders and decrees. This was reported by the head of the International Labor Organization (ILO) Fundamental Principles and Rights at Work Branch, Beate Andrees, when she presented the report “Independent monitoring of me- asures to end child and forced labor during the cotton harvest in 2017 in Uzbekistan”, commissioned by the World Bank. The ILO again claims that children are not being forced to collect cotton and the problem of forcing adults to participate in the cotton harvest has been resolved by the authorities in a systemic manner. The ILO report was based on 3,000 personal conversations, for which a representative sample was taken from 2.6 million cotton collectors, as well as information given by 1,000 respondents during phone conversations with citizens. The ILO highlights that this rese- arch was conducted without warning or participation of government officials. As a result, the ILO concludes that it obtained evidence that the vast majority of cotton collectors worked in the fields voluntarily and that Uzbek people clearly understand the inadmissibility of child and forced labor. In 2016, the ILO carried out similar monitoring, which resulted in the absence of cases of systemic use of child and forced labor in the cotton sector of Uzbekistan. 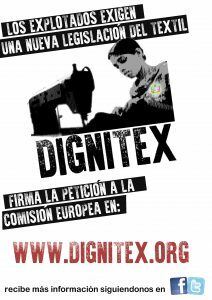 However, the reports of independent organizations, as well as some human rights defenders, contradict the ILO findings. In autumn 2017, Fergana news agency reported that the human rights advocate, Yelena Urlayeva, found children working in the fields of Baliqchi district of the Andijan region. She took photos of pupils of the 5th grade of school No.1 who were collecting cotton under the supervision of their teacher. The human rights defender also witnessed teachers of school No.13 bringing primary school children to the fields.